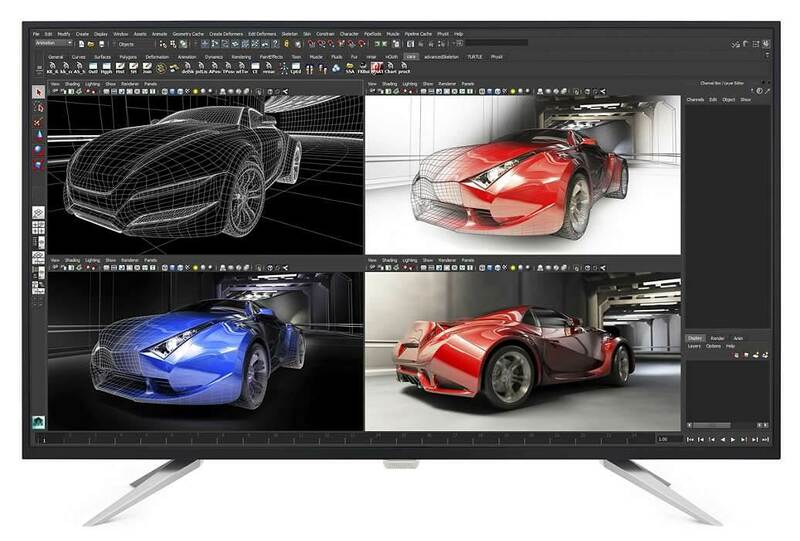 If a standard 32-inch monitor just isn't big enough for you, Philips new 43-inch 4K display – which the company claims is definitely a computer monitor and not a TV – might be exactly what you're after. The BDM4350UC, as it's called, packs a 3840 x 2160 resolution into a 42.51-inch IPS LCD panel, equating to a pixel density of 104 PPI. This places the pixel density in the same region as a smaller 27-inch 1440p display, and could allow you to use the monitor at its native resolution without any display scaling. Aside from boasting a size that's suitable for high information density, the BDM4350UC packs typical specifications for a computer monitor. You get 5ms GTG response times, a contrast ratio of 1200:1, 178-degree viewing angles, and brightness of 300 nits. Philips also packs in support for 1.07 billion colors (10-bit color). There are five inputs on this monitor: two DisplayPort, two HDMI 2.0 with MHL, and one VGA. You'll also get a four port USB 3.0 hub and two seven watt built-in speakers that are no doubt pretty substandard. For those interested in this monitor, Amazon currently has them listed for $800 with a shipping time of one to three months.